Our deluxe pitches offer individual electric connections for each pitch. Available under shaded trees or out in the open air, all our deluxe pitches are a minimum of 12m wide and 12m deep so there is ample room for all your things. You are welcome to park one car on your pitch - any extra cars can stay in the on-site carpark (for no extra charge). 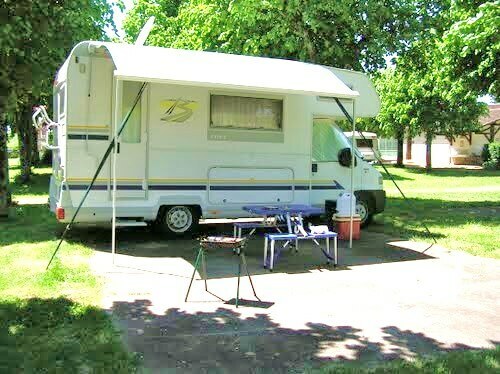 Each deluxe pitch fee includes 16amp electric connection with standard EURO sockets, upto 6 people, a tent, caravan or motorhome. Awnings, gazebos and pup tents are also welcome but must all fit within the confines of the pitch. Upto 3 pets are also included in the pitch fee. Our hardstanding pitches offer individual electric connections for each pitch. Available under shaded trees, all our hardstanding pitches have a solid surface with a minimum of 10m wide and 12m deep so there is ample room for all your things. There is also an extra 25m2 of grassed area around the solid surface pitch for you to use. You are welcome to park one car on your pitch - any extra cars can stay in the on-site carpark (for no extra charge). 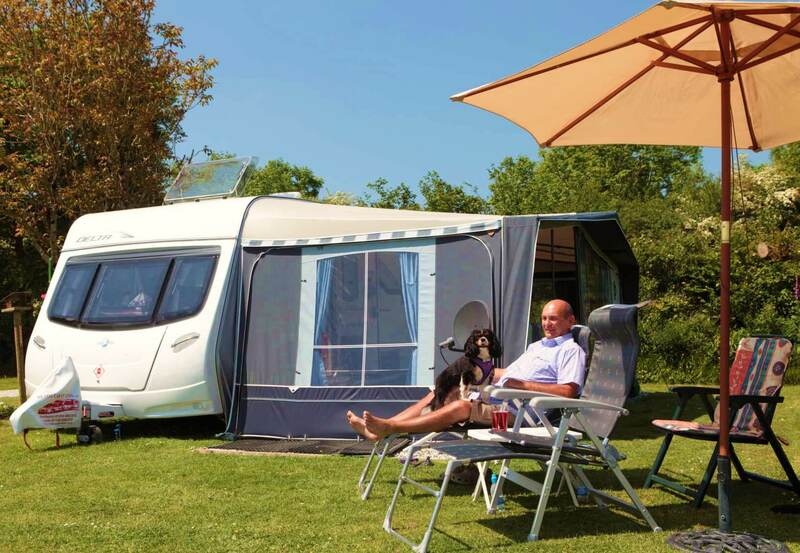 Each Hardstanding pitch fee includes 16amp electric connection with standard EURO sockets, upto 6 people, a caravan or motorhome. Awnings, gazebos and pup tents are also welcome but must all fit within the confines of the pitch. 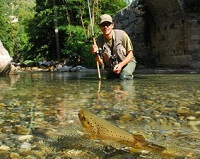 Upto 3 pets are also included in the pitch fee. Our luxury Camping Pods are ideal if you don't want to be bothered putting up and taking down your own tent but still want the freedom and the magic of the open-air. 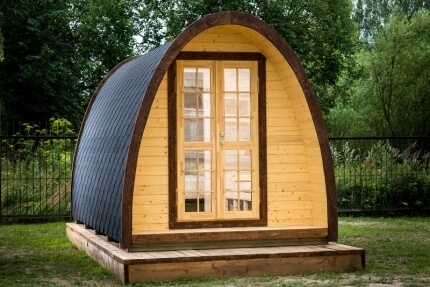 Our luxury camping pods can accommodate upto 4 guests in a full size double bed and two single camp beds. In the rear of the pod is a sectioned-off area which through the day is a comfy sofa and a night converts to the full size double bed. Storage units and a table complete the interior fixtures. At the front of your pod is your own picnic table. You can of course use our fully equipped Camper's Kitchen or treat yourself to meals, drinks and snacks in our cafe, bar and restaurant. Pods are supplied with mattresses and bed linen and towels can be added to your stay to save you any hassle. No smoking or cooking is permitted inside the pods. Dogs can be accepted (but this is not available with the linen and bedding option). You can park one car adjacent to your Pod - any other cars are welcome to stay for free in our on-site carpark. We have a selection of large grassed pitches. Some with shady trees, others open to the glorious Burgundy countryside. 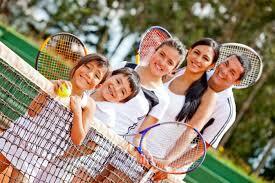 All our standard pitches are a minimum of 12m wide and 12m deep so there is ample room for all your things. You are welcome to park one car on your pitch - any extra cars (which are free) can stay in the on-site carpark. 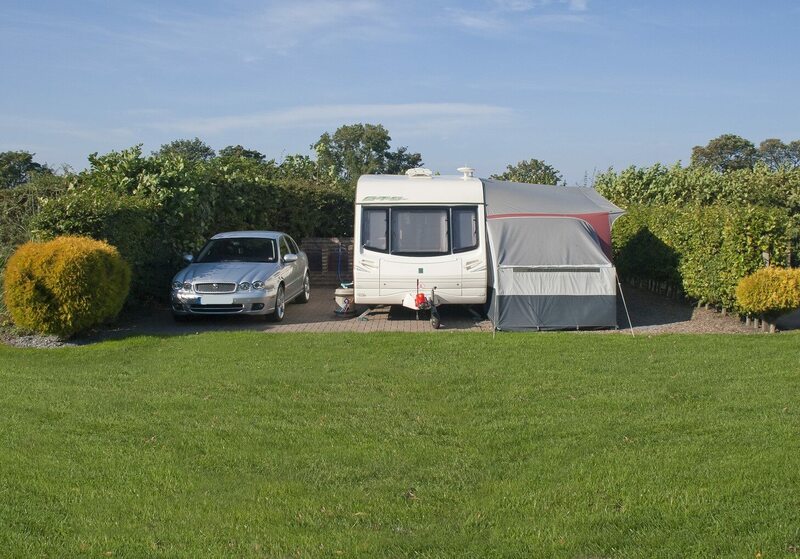 Each standard pitch fee includes upto 6 people, a tent, caravan or motorhome. 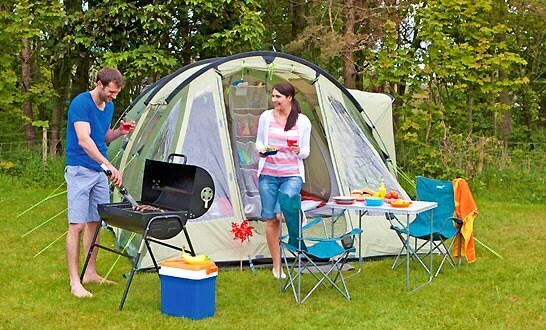 Awnings, gazebos and pup tents are also welcome but must all fit within the confines of the pitch. Upto 3 pets are also included in the pitch fee. No electricity is available on standard pitches. Our cheap and cheerful Gite accommodation is perfect for groups, large families and those seeking the best in budget accommodation. 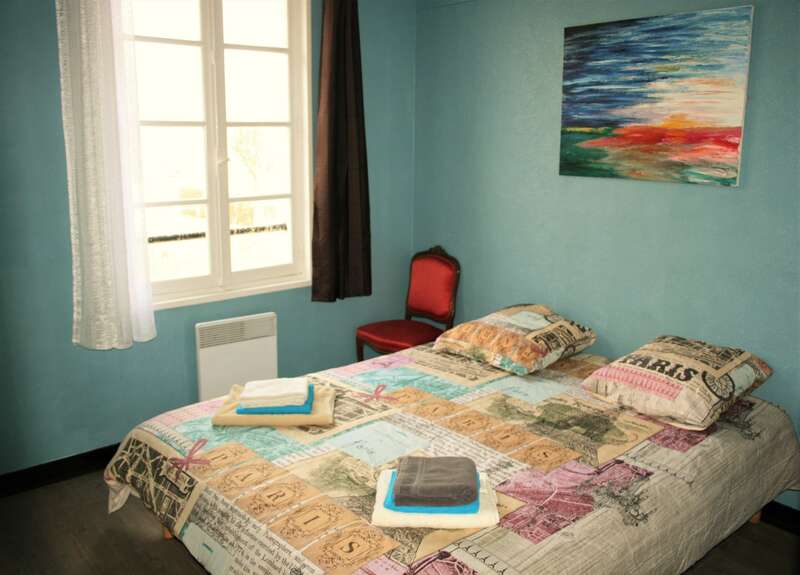 From only 40 euros per room per night (including breakfast), our clean, warm and friendly Gite is a perfect stop. We have 6 rooms that share two shower, sink and toilet rooms positioned at each end of the building. Rooms include some bunk beds and have storage, linen and towels included. Views across the park or to the famous Roches du Saussois from each room. Free WiFi is also available.